Josh Temko is 17 and from Clearwater Florida. He has been sailing the Laser full rig and c420 for the past five years out of the Clearwater Community Sailing Center, and came to Oakcliff to learn more about the high performance boats, specifically 49ers. 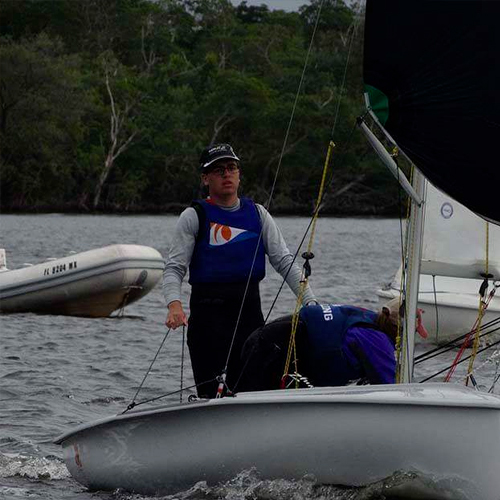 In two years, Josh will be sailing in college, and hopes to start an Olympic campaign in the 470 class. The skills that he learns from Oakcliff will help him peruse his dreams at becoming an Olympic athlete for the U.S..